We have never experienced 2018 before. But one thing is certain: There are inevitable changes that we can’t ignore. If you’re still dealing with the holiday bliss and still contemplating what the new year holds for your digital marketing strategy, we have created this in-depth resource to guide you on where to spend your budget and time in 2018. Smart marketers are not necessarily those who work extra hard. But rather, they are smart because they follow trends, and deliberately take steps to align their marketing decisions with viable opportunities as they come. Truth be told, a lot of changes took place in the previous years. 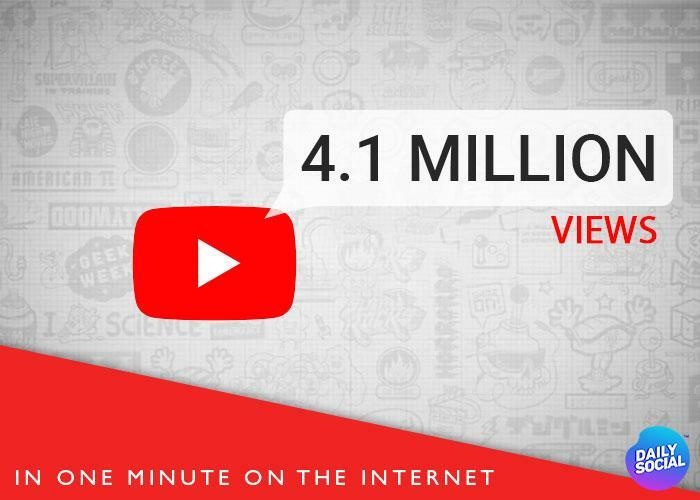 One of such eye-opening events is that every minute, 4.1 million videos are viewed on YouTube, 15,000 GIFs are sent via Messenger, 1.8 million Snaps are shared, and there’s no sign that these trends will stop. If anything, they will continue to rise. The marketing landscape has become too crowded. It’s difficult to stand out in the crowd, focus your attention on what truly matters, and make a lasting impact. Hopefully, with these top 5 marketing predictions for 2018, you will be able to re-align your goals and objectives this year — and choose a path that suits your business. Influencer marketing is the practice of researching, identifying, connecting, engaging, and supporting the people who create content and communities impacting your industry, brand, products or services, with the aim of winning their hearts so they can help you gain more traction. An influencer is someone with influence. People like and believe influencers. In other words, when an influencer recommends a branded T-Shirt, for example, the followers will listen and many of them will buy it. I’m sure you have come across influencers who happens to be everywhere. 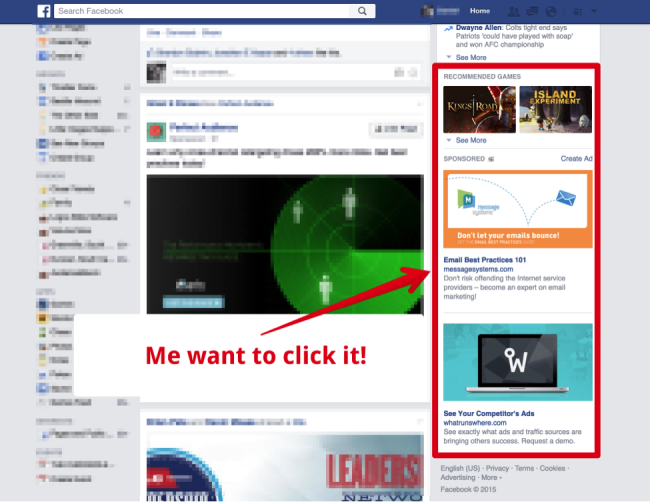 I’ve seen Gary Vaynerchuk and Lewis Howes appear on my Facebook feed more than any other digital marketer. That’s influence! 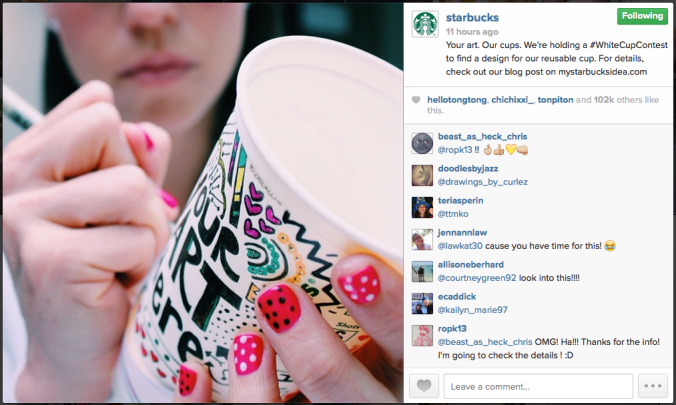 If you’re yet to embrace influencer marketing, you’re not alone. A lot of businesses in the previous years neglected it, but in 2018, digital marketing professionals believe that more brands will invest heavily in influencer marketing. 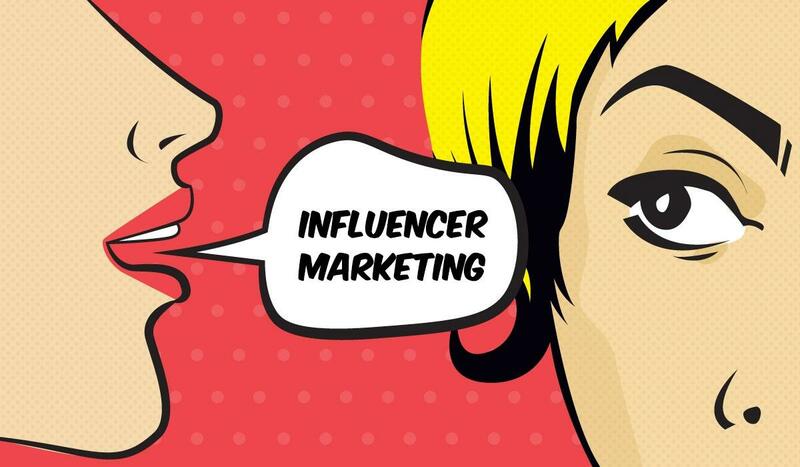 Though 84% of marketers planned on executing at least one influencer marketing campaign during 2017, according to Inc., the fact that implementing it effectively isn’t for everyone but for the trained, the majority of brands ditched their plans and moved on to other marketing techniques. Between 2016 – 2017, influencer marketing strategy has grown tremendously. Just like every other marketing tactics, it has its ups and downs and requires a learning curve for brands and marketers alike, before they can master it. More so, as technology evolves, new channels will be developed and different types of brands will start to take notice of them. But that’s not all. When done right, influencer marketing generates significant ROI. According to Inc., businesses generate $6.50 for every $1 invested in influencer marketing. Beauty brands, clothing, and technology brands (e.g, wearables) have, in 2017, recorded great success with using Instagram celebrities and micro influencers to promote their products and message. Fortunately, big brands like Amazon, Apple, Airbnb, and the like are getting in on the action. Today’s consumer trust recommendations from content creators, entrepreneurs, artists, and social media influencers over brands. In fact, 6 in 10 YouTube subscribers would trust the opinion of a favorite creator on what to buy over their favorite TV or movie personality, and millennials see YouTube stars to be more influential than celebrities. according to a recent study by Google. 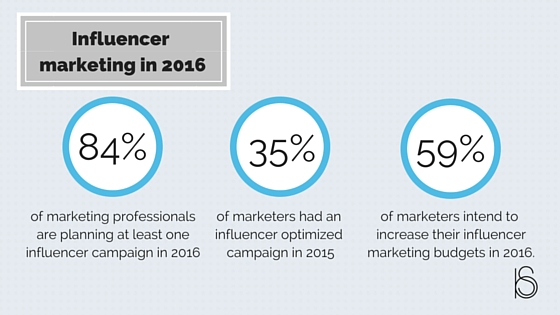 Influencer marketing will lead because consumers want better content. Your target market has evolved in the type of content they consume and how they consume it, and as such, you also need to change your approach if you want to thrive in this ever-competitive marketing environment. In 2018, creating press releases with the sole purpose of mass mailing bloggers, social media experts, and your email subscribers will no longer suffice. In fact, it’s become outdated — leave the tactics behind and move on with a more robust influencer marketing strategy that revolves around rich media. Why? Because the influencers you’re targeting are on platforms like YouTube, Instagram, Snapchat, Facebook, Pinterest, among many others. More brands will turn to these platforms when looking to find and collaborate with influencers. Your ideal customers are also on these platforms. Using rich media content such as videos, slides, podcasts, live events, books, and more, are the best ways to cater to the needs of your target audience through influencers. Consumers will play an important role in influencer marketing going forward. The consumers will be able to participate in events and surveys so that they can suggest what types of products they want, the content they want to consume, and what they intend to do with the content. An example is the Starbucks White Cup Contest and Coca-Cola’s share a Coke campaign. This is a type of user-generated content that infused consumer’s personality — thus, improving the consumer experience, sharing memorable brand stories, and making the consumers feel important. 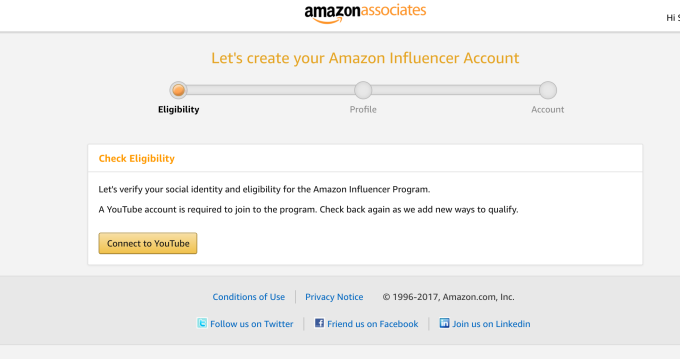 Here’s another example: Amazon recently introduced a self-service tool for social media influencers. This program allows influencers to create a page on Amazon with a dedicated vanity URL to showcase their favorite products to followers and fans. As a result, influencers were able to provide a seamless shopping experience for their followers and earn a commission for doing so. Now, imagine how impactful this would be if you connect with this influencer to share your physical product on their Amazon page. That would lead to several sales and brand awareness. Influencer marketing works because the content is less staged and more natural, which is exactly what consumers prefer. Although influencer marketing campaigns tend to promote a product, they are subtle and look organic. According to Pardot, nearly 95% of marketers who currently use an influencer marketing strategy believe it’s effective. Looking at the data and success stories from brands, we only expect this number of marketers (and their respective brands) to increase in 2018 and beyond. Voice search is gradually taking over and online consumers are excited about it. With voice searches, consumers no longer have to struggle with search results or keep queries in their heads. By simply speaking to Google search engine (without lifting a finger), their questions will be answered. That may have happened in 2017, but in 2018 and beyond, more search users are going to get better information through voice search. It was an integral aspect of search engine optimisation, but some SEOs thought it’s one of those trends that will go away. Voice search is a growing trend. If you look at Google search results, you will discover that featured snippets have almost taken over the bulk of organic results. 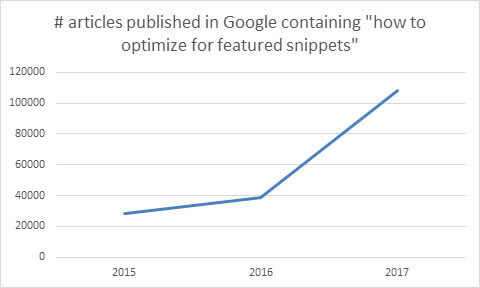 Hence, marketers are looking for tutorials on “how to optimize for featured snippets” in Google. That’s a 178% growth from 2016! As you can see, Google gives me a quick rundown of the basic rules. 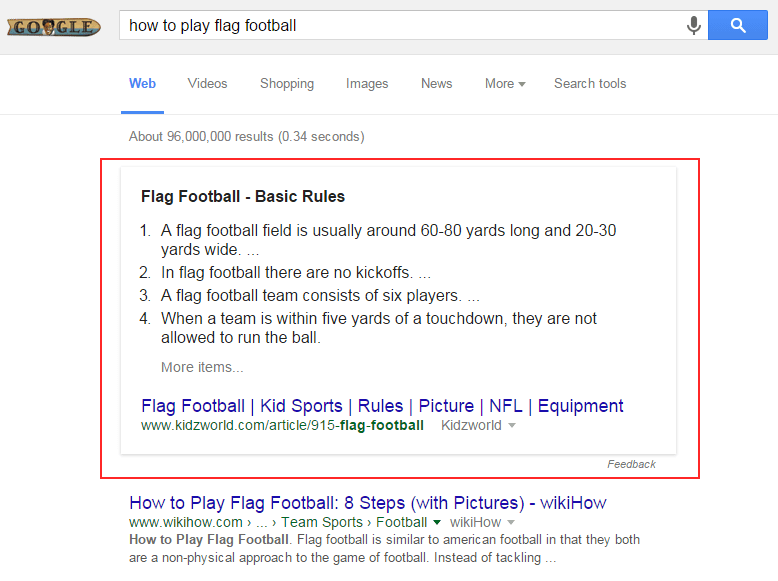 If I’m looking for a basic information about “flag football”, for example, I may not even click the link. Because the featured snippet result may have solved my query. Looking at this, it can be seen that voice search is going to grow even bigger. Since Google Home and Google Assistant collect information from featured snippets. 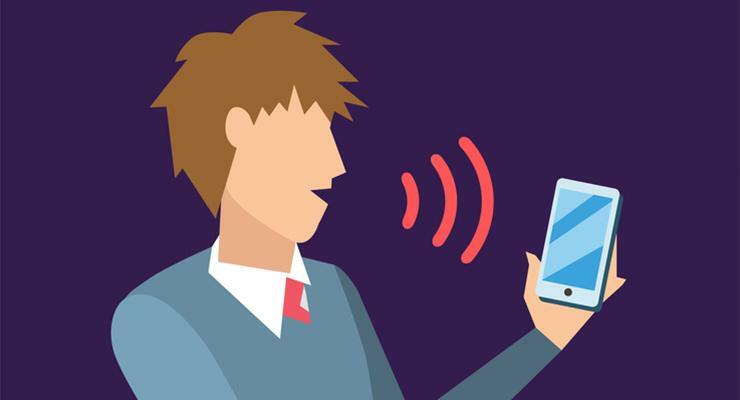 According to comScore, by 2020, 50% of all searches will come from voice. 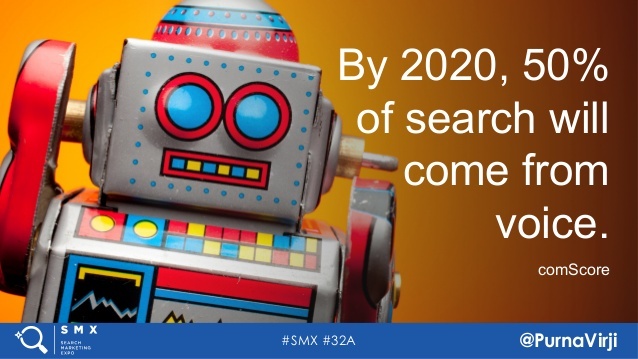 This prediction is going to cause the SEO community and professionals to adjust their belts and embark on a journey to make their content more accessible via voice searches. In 2018, more SEOs will create step-by-step articles, leveraging subheadings and bullets when formatting the article. This would make their content suitable for online consumers who do voice searches. In 2017, 55% of millennials and 40% of adults used voice search. “We see this trend growing and going mainstream in 2018,” said Rodica Lazar, head of organic performance at TheDrum. Essentially, with voice search becoming more important, the way we approach keyword research and content creation will change. Creating content with the sole purpose of addressing visitor’s questions, engaging with prospects and customers will be the focus, considering that the time spent on page, click-through rate, and bounce rate are the pillar metrics when it comes to user experience. Although structured data isn’t primarily a ranking factor, it has an effect on CTR. In the previous year, we’ve conducted several experiments and found that a higher click-through rate results in higher rankings. To better position your website and content for voice searchers, start optimizing your content for one-to-one instead of one-to-millions. Work on getting brand mentions and contextual links that are relevant to your website, since links are still an important ranking factor. As long as you provide relevance and meet consumer needs, you will drive more traffic and boost rankings through Voice Search. Don’t frown at it. Embrace it. There’s going to be a fusion between search marketing and content marketing in 2018. The former consists of search engine optimisation and Google AdWords advertising, while content marketing is primarily the use of inbound marketing strategies such as blogging, guest blogging, engaging with social media followers — all geared towards attracting ideal customers without necessarily spending money on ads. Considering that search marketing and content marketing can be used to meet organizational goals, it makes sense to fuse both concepts into one powerful strategy. In 2018, marketers will still run pay per click (PPC) ads on Google Search and Display Networks, but they will also optimize their landing pages and publish high-quality content that will engage prospects who came through ads. From experience, we know that social media can be a great tool for reaching the target audience and engaging with influencers to create brand awareness. But it’s not going to drive qualified leads or sales because that’s not the purpose for which it’s created. 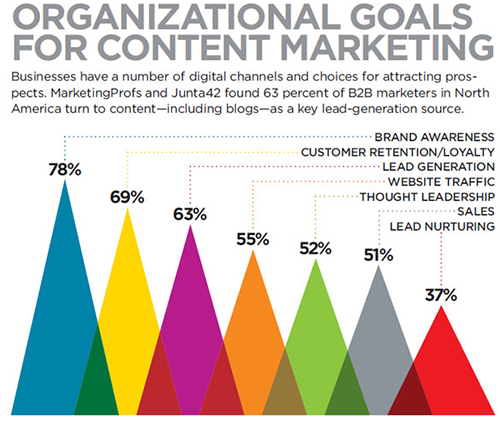 Search marketing on the other hand is dominant in the top digital sales channels. Because it’s a viable way to generate targeted leads and grow a business. With the advent of Google Panda, Penguin, and Fred Update in March of 2017, you’ll agree with me that Google wants website owners to focus on the “user intent” and not primarily on keywords to avoid keyword stuffing, over-optimisation of anchor texts, and the like. The Mozcast SERPs features also showcases the changing trend in the search engine results pages (SERPs). 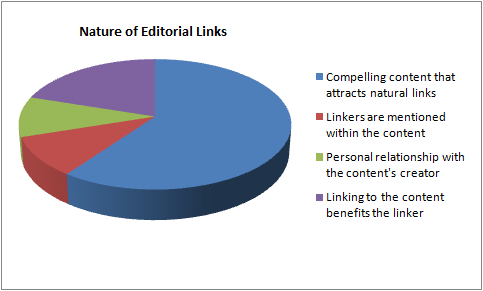 This gives us a direction on the link type that Google is truly after — editorial links. This feature also highlights the Knowledge Panels which is essential for brands and local businesses that want to benefit from organic search, Related questions, Featured/rich snippets, quick answers, reviews, and ratings. All of these elements are pointing to one thing — creating a better user experience on your website so that when searchers click through to your page, they will find the right information and stick to your website (thus, increasing average time on site). Whether it’s in the retail sector, B2B, or B2C industry, a one-size-fits-all offer doesn’t work. Because customer A may want a different offer or solution to what Customer C wants, though they both want to the same end goal (e.g., generate more leads). Hence, you need to personalize each offer to suit your customers. It’s hard but it’s doable. Personalisation has redefined email marketing. Beginners to digital marketing who, in the past, couldn’t get a 10% email open rates have seen a 20 – 40% boost. Yes, the simple act of addressing email subscribers by their first name is powerful and could get them to take an action. Though email marketing is a powerful tool, that’s not where personalisation is prevalent. In 2018, brands will pay more attention to their Facebook and Instagram campaigns. Instead of the typical ads that are generic, ads will be personalized to a segment of the target audience. For example, in Facebook advertising, marketers can import their LinkedIn contacts as custom audience and personalize the ads with the language and interest that these people understand. At this point, addressing each person by their first or full name may not be feasible. But in the second quarter of 2018, new tools and features must have been developed to further drill personalized campaigns to win the hearts of the target audience. Instagram marketing, in particular, will be impacted heavily by personalisation since the majority of users are millennials — who are more likely to look for design, fashion, and beauty content on Instagram, according to a study by AdStage. This group of consumers prefers offers and content that are personalized for them. Using robust analytics, social data, and customer relationship management software, marketers can gather essential information about the user, and use the insights gained to strategically understand what the audience wants in a micro-targeted way while meeting the user’s need in every stage of the funnel. In the end, businesses that ignore personalization will struggle to build trust with their audience. Consequently, they will see competition as a negative force to contend with, instead of an opportunity to capitalize on. Customer support is the lifeblood of your business. Any brand that approaches it with a half-baked approach will suffer. It doesn’t matter how many leads and customers you onboard, as long as you’re not taking for them, they will be unhappy and, of course, leave. Your sales funnel is an all-important system you must take seriously in 2018. Why? Because that’s where all the magic happens. 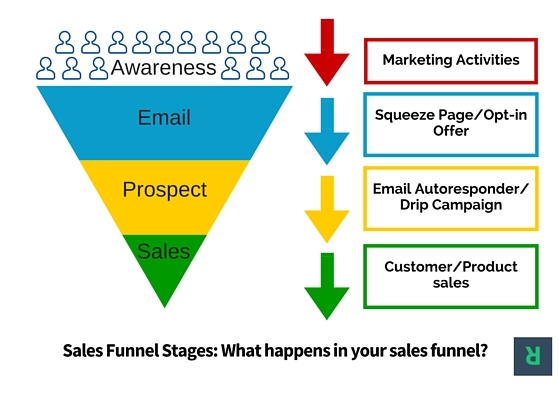 When prospects get into your funnel, it’s your job to engage with them, and turn them into paying customers. The various stages (as illustrated in the fourth section above) are dependent on each other to be effective. Make no mistakes about it, if your customer support is top-notch, your leads will be happy. And don’t forget that it’s 14X easier to sell to an existing, happy customer, than to a new prospect. The typical customer support is powered by humans. These agents make phone calls, respond to emails, and if they have the time, they can help the client navigate the website or portal. Unfortunately, humans have limitations and you can’t expect them to be 100% perfect. Hence, the need for an automated customer support system or tool. And there’s no other option at the moment that chatbots [source]. 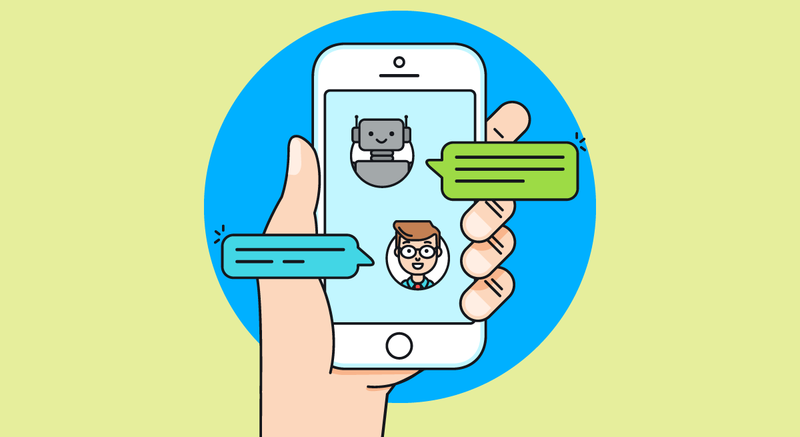 According to BusinessInsider, the global chatbot market is predicted to reach $1.23 billion by 2025 (at a growth rate of 24.3%). Currently, 80% of CMOs, senior marketers, and senior sales executives have started implementing chatbots, and many plan to use them by 2028, according to a survey report by Oracle. Chatbots are AI-empowered machines or programs designed to answer user’s questions according to pre-programmed mechanisms. In other words, you can train and equip your chatbots to answer common questions that prospects and customers usually ask. In 2018, businesses are expected to pay more attention to testing and implementing chatbots and other artificial intelligence technologies. That being said, given the improvements in Artificial Intelligence, and chatbots, in particular, it’s obvious that customer support will become easier to automate. We predict the growth of chatbots in 2018 — especially in markets (e.g., Information Technology, Fashion) where the consumer needs to ask a question for before making purchase decisions. We put this list of top 5 marketing predictions for 2018 with the hope that you will be well-positioned for the dynamic nature of online marketing this year and plan accordingly. Bear in mind that no predictions are 100% guaranteed to come to pass. But even if one of these predictions take root this year, that’s a plus to your marketing strategy. Here’s what to do next: Pick one of the predictions or trends that you strongly believe in, place it side by side your marketing strategy for 2018, and align your content to suit your customers.